TOURNAMENT FORMAT: To be determined based on the amount of teams that sign up. ELIGIBILITY: All Military Service Members, Military Service Dependents, DoD, DHS, and Retiree Cardholders that are 18 years of age or over on the date of the first game played in the tournament. 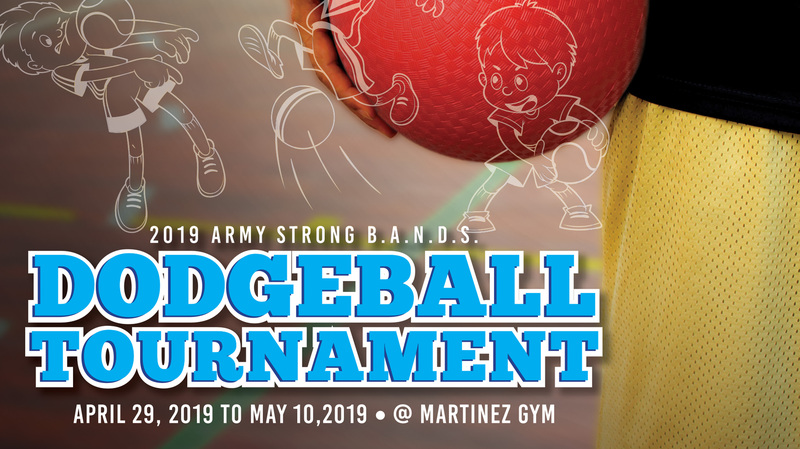 ENTRY DEADLINE: All applications must be received by the USAG-HI Sports, Fitness, & Aquatics Office: BLDG 645, 730 Leilehua Avenue, Schofield Barracks, no later than 1600 on Friday, 12 April 2019. Applications may also be faxed to 655-8012 or scanned/emailed to the Sports, Fitness and Aquatics Office. AWARDS: Team awards will be presented to the 1st and 2nd place teams. *The ARMY Hawaii Intramural Sports Office has the right to make changes.